Since 1989, Elder Ephraim and his followers have established 18 monasteries in North America, attracting both cradle and convert Orthodox Christians to its strict ascetic practices. 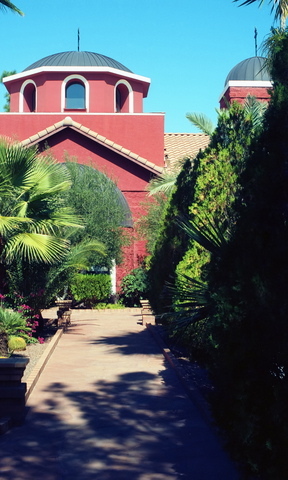 The “Ephraimite” monasteries stress reclusive living, fasting, bodily mortification, vigils, and constant recitation of the Jesus Prayer, according to sociologist Frances Kostarelos of Governors State University. In a paper on the Ephraimite monasteries presented at the meeting of the Society for the Scientific Study of Religion in Milwaukee, Wisconsin in late October, Kostarelos found that Elder Ephraim, who was a monk on Mount Athos in Greece, is viewed as a living saint by his followers who is said to have a divine gift for working miracles and healings. Elder Ephraim and the nuns and monks of his monasteries also claim to have the ability to exorcise the devil from people through prescribing spiritual techniques requiring bodily mortification and the denial of worldly pleasures. While such asceticism is common in many Orthodox monasteries, the way in which these strict practices have been imported into parish life and to non-monastic church members has become a source of controversy. 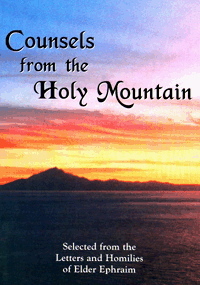 Much of Elder Ephraim’s teachings are collected in two texts, the Counsels from the Holy Mountain and A Call from the Holy Mountain , and are viewed as required guides for the Christian life and gaining salvation. The writings stress the end times and offer harsh critiques of Western Christianity and criticism of the Ecumenical Patriarchate. Kostarelos writes that Elder Ephraim claims Elder Joseph, a monk on Mt. Athos , as his spiritual father and main influence on his ascetic practices and teachings. Elder Ephraim was abbot of Philotheou Monastery on Mt. Athos but was allegedly removed from that position, she adds. In the 1990s, he briefly joined the Russian Orthodox Church Outside Russia because of its strong monastic thrust, but then returned to the Patriarchate of Constantinople and Greek Orthodoxy. Church at St. Anthony’s Greek Orthodox Monastery in Arizona (© Paul Moore | Dreamstime.com). Elder Ephraim is reported to have the strong support of various Greek Orthodox bishops, who have allowed the monasteries to be built in their jurisdictions. In Kostarelos’ study of three Chicago parishes that have been influenced by the monk’s teachings, she found that they have experienced divisions and membership losses. These parishes have introduced such changes as disbanding the choir and prohibiting the church fellowship hall to be used for social events deemed inappropriate, such as bingo, fashion shows and Halloween parties. Kosterelos adds that Elder Ephraim’s teachings are alleged to have divided and disrupted families and marriages and added to long-standing divisions in the Greek church in the U.S. Most of Elder Ephraim’s critics have come from educated professionals and second-generation Orthodox Christians who claim he is leading the church into heresy, such as encouraging the belief that he is a living saint, and engaging in “cult”-like activities and abuse of those joining the monasteries. One such criticism is that marital sexual relations are condemned by the Ephraimites unless they are for the purpose of procreation. Another concern is that followers may be encouraged to move beyond parish boundaries, such as in seeking a spiritual father other than one’s own priest. A group known as Concerned Orthodox Laity (COLA) has been formed to protest the influence of the Ephraimites, operating a Facebook page. In Chicago, Greek Orthodox Christians of Chicago for Truth and Reform (OCCTR) started a website in 2009, seeking to expose and monitor the Ephraimite movement in the diocese, where its influence is said to be strong. Both groups cite anti-cult literature that has been published on Elder Ephraim and the movement. The OCCTR website links to the anti-cultist Rick A. Ross Institute, which has a page devoted to Elder Ephraim and alleged abuses. Priests targeted for criticism by these reform groups are reluctant to publicly respond. One Chicago priest contacted by Religioscope requested to remain anonymous because revealing his name would lead to further attacks and distortions of his views by these groups. He said that COLA and the Chicago group make their charges anonymously, making it difficult to respond to them. They also take too literally the view by some followers that Elder Ephraim is a living saint; they only mean it as an expression of admiration and affection rather than as a doctrinal statement, he added. Bill Tsosis, a Chicago attorney representing both COLA and OCCTR, said that the reason these groups do not reveal the names of accusers is that they are concerned about reprisals from Ephraimites and the church hierarchy supportive of the movement. Tsosis said he is part of a Greek Orthodox Archidiocese committee that is investigating the Ephraimite movement and will make a report to the bishops in 2012. Although not wiling to reveal the contents of the report, he said that cases of both “spiritual abuse” and doctrinal distortions, including the belief in Elder Ephraim beng a living saint, will be documented. Supporters of Elder Ephraim argue that his movement is seeking to transplant the monasticism of Mt. Athos in America and has experienced growing pains in the process. On the website Athos in America, Fr. Theologos Pantanizopoulos acknowledges that Ephraim’s followers may have been “over-zealous,” but the Ephraimite monasteries have received support by the Patriarch, and the eldership exercised by Elder Ephraim is well within the bounds of the Orthodox monastic tradition. He adds that the controversy is part of the long-standing conflicts in the Greek Orthodox Archdiocese over episcopal leadership styles, with a lay movement pressing for a more modern and American-style democratic approach to church government.